Video shared online purports to show the aftermath of air strikes in eastern Aleppo. At least 32 civilians died, five of them children during Thursday’s bombardments by the Syrian regime on the rebel-held sectors, according to the Syrian Observatory for Human Rights. The monitor said it was a marked escalation in the campaign by the government backed by Russia, since the fighting resumed on November 15. 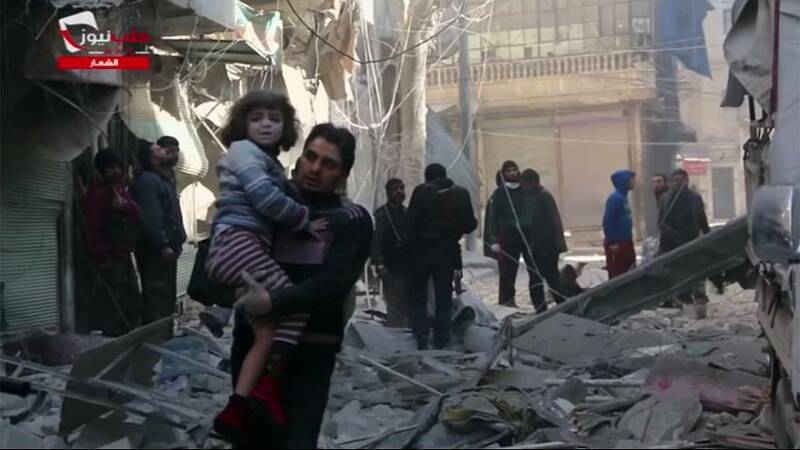 An estimated 250,000 civilians are living in the besieged eastern part of the city. The last working hospitals have also suffered severe damage from the continued air strikes. The UN’s Syria envoy fears that eastern Aleppo could be decimated by Christmas if the current fighting continued, with tens of thousands of refugees fleeing to Turkey. He added it was not in the interest of the Syrian regime to be left with a completely destroyed country.